VietNamNet Bridge – The administration in the central central city of Hoi An has opened a temple complex first built in 1626 to the public for visits in early December. The Tam Quan Gate, or three-entrance gate, is part of a complex known by locals as Bà Mụ (Midwife) Temple on the city’s Hai Ba Trung Street in Hoi An City. 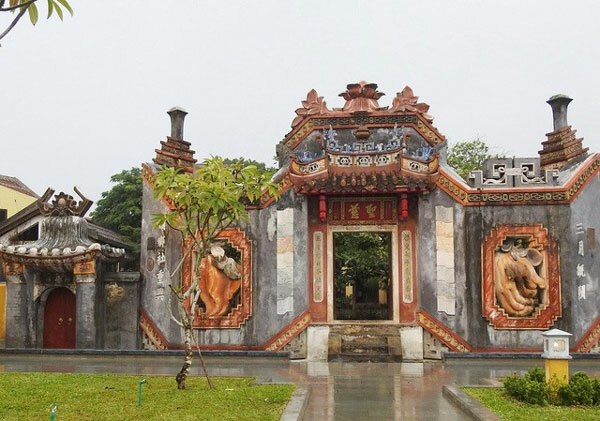 Tam Quan Gate is an entrance gate with classical Vietnamnese style of architecture often seen in front of pagodas and temples. The local government spent over VND5.3 billion (US$228,000) on restoring the gate and landscaping the complex, which now has electric lighting, a pool, flower beds arranged in patterns, and paths for strolls flanked by lawns.